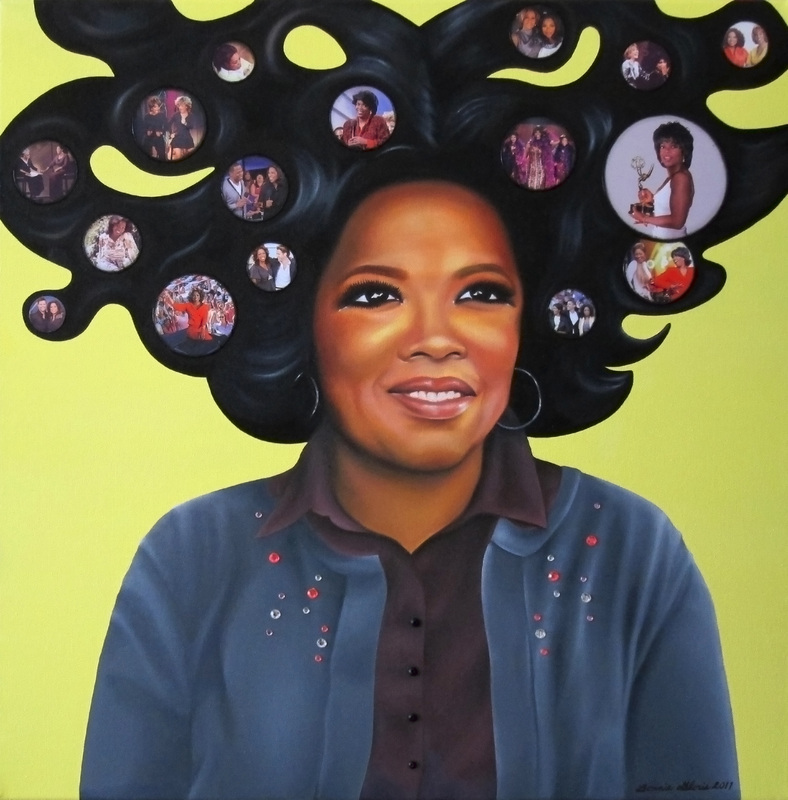 Portrait of Oprah Winfrey commissioned by life coach Russell Terry, a private collector and Oprah fan. Important moments from Oprah's life are captured in photos collaged into her iconic hair. "Oprah," 2011. Oil painting and collage on canvas. 24 x 24 inches.